← 3rd Year Anniversary of The Supernatural with Laura Maxwell on Eternal Radio! Scholars Agree Jesus “Certainly” Existed!By Reasons For Jesus. Posted on December 21, 2017	by Laura Maxwell, BA (Hons). “This is not an issue for scholars. There is no scholar in any college or university who teaches classics, ancient history, new testament, early christianity, who doubts that Jesus existed. He is abundantly attested in early sources.” – Dr. Bart Ehrman, Professor of Religious Studies, UNC. An article in particular blew up online called “Five Reasons To Suspect Jesus Never Existed“, and in the article it claims that “a growing body of scholars “now believe Jesus never even existed as a human being in the first century. 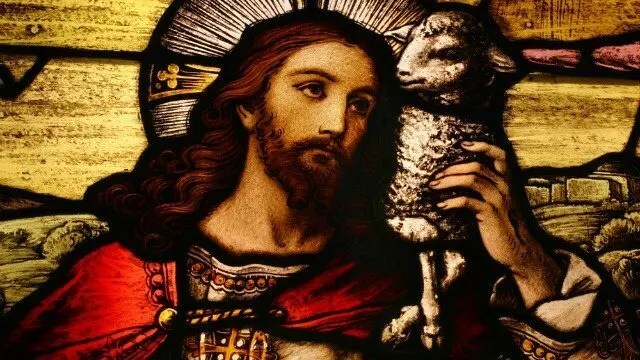 It has become an internet fad and online trend to assert that Jesus is a product of some kind of political, social, or economic agenda of the Roman Empire, and that it is all a part of a big conspiracy. Jesus was a knock-off of other dying and rising pagan gods, there is nothing new about the story of Jesus, and the whole story of his life was invented by religious authorities. This idea is so popular that it has become a commonplace suggestion. “There is no evidence that Jesus existed” is a catchphrase used by angry atheists and New Agers alike. But is this idea taken seriously by any professors of ancient history, Biblical studies, or New Testament studies? To say the least, no. In fact, not a single academic scholar today with a Ph.D. in a relevant field of study claims that Jesus did not exist. Why is this? Don’t they know of the articles online debunking Jesus, or documentaries like “Religulous” or “Zeitgeist” that debunk Jesus of Nazareth? 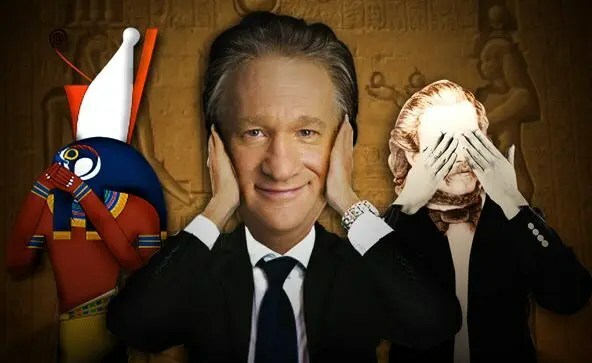 Are they all unenlightened about how Jesus was a knock-off of horus or other ancient gods? Carrier has a Ph.D. in Ancient Studies from Columbia University with a specialty in Roman history, though he is currently unemployed having never held an academic position at any university. His claim is that the existence of Jesus is sufficiently improbable and his historicity cannot be considered certain, and therefore we are not justified in claiming he existed. Being the most outspoken and well-known advocate of the Christ-myth theory, it’s important to take a look at what fellow scholars in his field have to say about his position. Here is what some atheist experts have to say about Richard Carrier and the Christ-myth theory in general. R. Joseph Hoffman is an atheist historian. Hoffmann holds graduate degrees in theology from Harvard Divinity School and a PhD in Christian Origins from the University of Oxford. He is a former Chair of the Committee for the Scientific Examination of Religion. Bart Ehrman, an agnostic-atheist, is one of the most respected New Testament scholars of our day. He is currently the James A. Gray Distinguished Professor of Religious Studies at the University of North Carolina, and received his Ph.D. from Princeton Theological Seminary. Ehrman says that the proponents of the Christ-myth theory do not define what they mean by “myth” and maintains they are really motivated by a desire to denounce religion rather than examine historical evidence. He discusses leading contemporary mythicists by name in his book Did Jesus Exist?, and dismisses their arguments as “amateurish”, “wrong-headed”, and “outlandish”. The whole book outlines all of the historical evidence for Jesus, which tearing down the unscholarly view that Jesus is a myth. “There are a couple of exceptions: of the hundreds — thousands? — of mythicists, two (to my knowledge) actually have Ph.D. credentials in relevant fields of study. But even taking these into account, there is not a single mythicist who teaches New Testament or Early Christianity or even Classics at any accredited institution of higher learning in the Western world. What do other Atheist historians and Atheist New Testament scholars have to say about this? But Ehrman and Hoffman are not the only atheists history scholars who think the idea of Jesus never existing is silly. The following is a list of accredited New Testament scholars who are either atheists, lack belief in God, or non-Christians who affirm the existence of Jesus beyond any doubt. They have no invested interested in Christianity, they deny that Jesus is the Son of God, they don’t think Jesus was divine in any way, and they deny that Jesus rose from the dead. They are just atheistic or agnostic scholars of the ancient world who hold academic positions in fields of study relevant to the history of Jesus of Nazareth. “In recent years, ‘no serious scholar has ventured to postulate the non historicity of Jesus’ or at any rate very few, and they have not succeeded in disposing of the much stronger, indeed very abundant, evidence to the contrary.” in Jesus: An Historian’s Review of the Gospels by Michael Grant 2004 page 200. “If we apply to the New Testament, as we should, the same sort of criteria as we should apply to other ancient writings containing historical material, we can no more reject Jesus’ existence than we can reject the existence of a mass of pagan personages whose reality as historical figures is never questioned.” Jesus: An Historian’s Review of the Gospels (New York: Macmillan, 1977), 199-200. Ed Parish Sanders – A New Testament scholar. Former Arts and Sciences Professor of Religion at Duke University, North Carolina. Two doctorates in theology. One of the most respected New Testament historians. “Nearly all commentators who mention the matter at all, [set] aside doubts about Jesus’ historicity as ridiculous.” He adds, “the view that there was no historical Jesus, that his earthly existence is a fiction of earliest Christianity … is today almost universally rejected.” “Serious students of the New Testament today regard the existence of Jesus as an unassailable fact” – Did Jesus Exist?, Revised edition (London: Pemberton, 1978, 1986), p 213. and The Historical Evidence for Jesus (Buffalo: Prometheus, 1988), p 218. Marcus Borg – Ph.D. Former Distinguished Professor of Religion and Culture at Oregon State University. He is a Bible scholar and an agnostic who believes Jesus was a Jewish prophet and teacher. In another interview he stated: “Though a few books have recently argued that Jesus never existed, the evidence that he did is persuasive to the vast majority of scholars, whether Christian or non-Christian”. Jesus was born sometime just before 4 B.C. He grew up in Nazareth, a small village in Galilee, as part of the peasant class. Jesus’ father was a carpenter and he became one, too, meaning that they had likely lost their agricultural land at some point. Jesus was raised Jewish and he remained deeply Jewish all of his life. His intention was not to create a new religion. Rather, he saw himself as doing something within Judaism. He left Nazareth as an adult, met the prophet John and was baptized by John. During his baptism, Jesus likely experienced some sort of divine vision. He became a noted healer, teacher and prophet. More healing stories are told about Jesus than about any other figure in the Jewish tradition. He was executed by Roman imperial authority. His followers experienced him after his death. It is clear that they had visions of Jesus as they had known him during his historical life. Edwin Judge – He founded the Ancient History department at Macquarie University in Australia for which he is now Emeritus Professor. Graeme Clarke – He is the Emeritus Professor of Classical (Ancient) History and Archaeology at Australian National University. We could sit here all day and quote from hundreds upon hundreds of historians who all tell us the same thing: Jesus really existed. 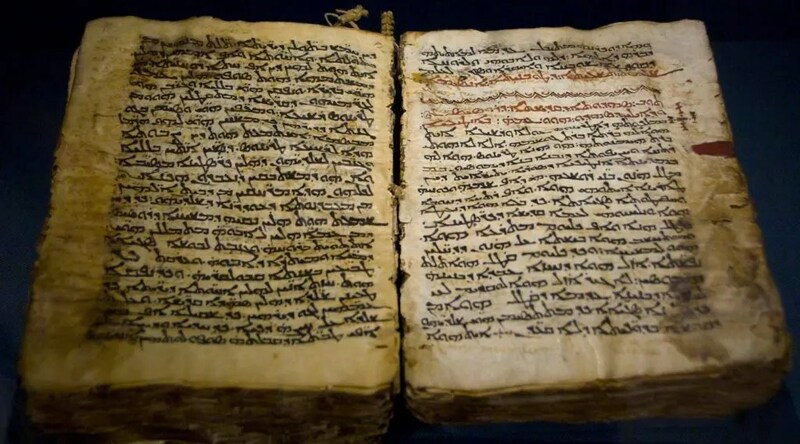 What ancient sources are there for Jesus? To put things into perspective, the claim that Jesus never existed of the same caliber of scholarship as contending that the Holocaust never happened, or that the moon landing was filmed in a Hollywood studio. It is so fringe and so refuted by historical evidence that it doesn’t even get considered as a serious claim by ANYBODY in the academic world. Gary Habermas has a Ph.D. in history and philosophy of religion. He is a New Testament scholar and Distinguished Research Professor and Chair of the Philosophy and Theology Department at Liberty University. Matthew, Mark, Luke, John, Paul, Author of Hebrews, James, Peter, and Jude. Clement of Rome, Ignatius of Antioch, Polycarp, Martyrdom of Polycarp, Didache, Barnabas, Shepherd of Hermas, Fragments of Papias, Justin Martyr, Aristides, Athenagoras, Theophilus of Antioch, Quadratus, Aristo of Pella, Melito of Sardis, Diognetus, Gospel of Peter, Apocalypse of Peter, and Epistula Apostolorum. Gospel of Thomas, Gospel of Truth, Apocryphon of John, and Treatise on Resurrection. Josephus (Jewish historian), Tacitus (Roman historian), Pliny the Younger (Roman politician), Phlegon (freed slave who wrote histories), Lucian (Greek satirist), Celsus (Roman philosopher), Mara Bar Serapion (prisoner awaiting execution), Suetonius, and Thallus. WHAT ADVANTAGE DID THE JEWS GAIN FROM EXECUTING THEIR WISE KING? IT WAS JUST AFTER THAT THEIR KINGDOM WAS ABOLISHED. GOD JUSTLY AVENGED THESE THREE WISE MEN: THE ATHENIANS DIED OF HUNGER; THE SAMIANS WERE OVERWHELMED BY THE SEA; THE JEWS, RUINED AND DRIVEN FROM THEIR LAND, LIVE IN COMPLETE DISPERSION. The list goes on and on and on. At a time where the literacy rate was about 3%, that is an incredible amount of sources for a single historical figure within such a short time period. How do we best explain the movement of Christianity, the radical transformation of religious belief at that time, and the 42 independent ancient sources mentioning Jesus within 150 years of his death? If even one or two of these is legitimate, that’s enough. Gerard Stephen Sloyan – A Professor Emeritus of Religion at Temple University and is a Chairman of the Department of Religion. He is also a lecturer in Theology at Georgetown University. Emil Brunner – Ph.D. Was a professor of Theology at the University of Zurich and the University of Edinburgh. Was also a visiting professor at the Princeton Theological Seminary. Michael McClymond – He holds a Masters in religion, and Ph.D. in theology. He is the Professor of Modern Christianity at Saint Louis University. He has held teaching or research appointments at Wheaton College (IL), Westmont College, University of California – San Diego, Emory University and Yale University. “While we do not have the fullness of biographical detail and the wealth of firsthand accounts that are available for recent public figures, such as Winston Churchill or Mother Teresa, we nonetheless have much more data on Jesus than we do for such ancient figures as Alexander the Great… Along with the scholarly and popular works, there is a good deal of pseudoscholarship on Jesus that finds its way into print. During the last two centuries more than a hundred books and articles have denied the historical existence of Jesus. Nicholas Perrin – A Professor of Biblical Studies at Wheaton College, Illinois. His work focuses on the New Testament and early Christianity. Aside from a very small handul of mythicists who don’t hold professorship in any relevant fields, the consensus is just as universal among historians as the theory of evolution is among biologists. The only difference is, the existence of Jesus is not a theory. It’s a historical fact that we can establish. Why is it a fad to claim Jesus never existed? With SO many ancient independent early sources, we can only assume skeptics claim he didn’t exist because they are giving Jesus special treatment for non-scholarly reasons. We actually have more evidence that Jesus existed than we do for Socrates, Tiberius Ceasar, or anybody else in the ancient world at during that time period, and nobody makes a peep about the fact that we accept the existence of some ancient people on only a couple independent ancient sources. So why are people so passionate about asserting he is a myth and never even existed? Where did this come from? Is it based on an absence of historical evidence for Jesus of Nazareth? Surely it’s not. For we have seen the universal consensus of historians along with dozens of independent ancient sources. I think that most people who believe Jesus is a myth perhaps have an emotional bias based on their hatred towards the idea of God, religion, the church, greedy pastors, or the behaviour of Christians throughout the course of history. Not to forget, they do not like the idea of being accountable to a holy God. They disagree with the doctrine of Christianity, the beliefs of Christianity, they are angry at religion, and are annoyed with fundamentalist Christians. But to believe Jesus never existed because you disagree with Christianity is equal to saying that Gautama Buddha never existed because you disagree with Buddhism, or Ceasar Augustus never existed because you disagree with his politics. When you mix in this emotional/intellectual bias with some sensationalist disinformation on the internet, tickle their ears with generalized remarks about how awful “religion” is, sprinkle in some quotes by popular atheists who deny Jesus existed (despite having literally no expertise in ancient history), you have a recipe for enticing people to deny one of the most certain facts of the ancient world. While there is a very good historical case for the resurrection (which will be explained in a future article), the main point to take away from this is not that Christianity is true, but that Jesus of Nazareth lived in the Middle-East during the 1st century. While I do believe Jesus is everything He claimed to be, the point of this article is not to prove he is anything beyond a literal figure in the ancient world. He is not a knock-off of pagan gods or a myth created by the church. He was a literal historical being that walked this earth, and this is universally recognized as being true by every scholar in any relevant field of study. Are there some uncertainties regarding the life of Jesus? Sure. But as far as being a historical figure in the ancient world, the case has been closed for a long time. 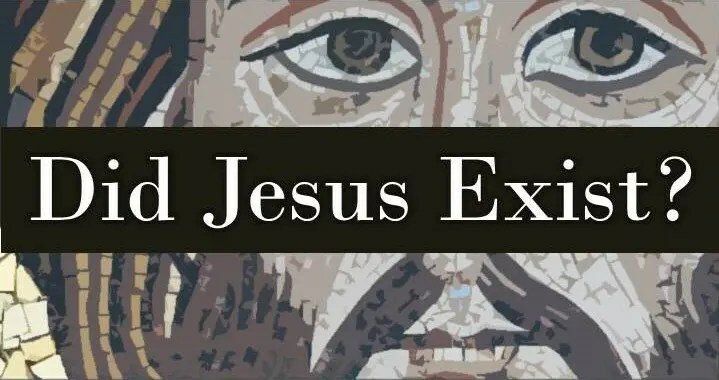 Recommended books: Did Jesus Exist? The Historical Argument for Jesus of Nazareth. Bart Ehrman. 2012. Did Jesus Exist? All Scholars Agree He “Certainly” Existed. This entry was posted in Apologetics, Archaeology, Books, Debunking Athiesm, Evidence for Jesus and The Bible, Frequently Asked Questions, Guest Articles, Online Article, The Truth Movement, Truth Seeker, Welcome To This Blog! and tagged Apologetic Arguements, Apologetics, http://reasonsforjesus.com/, Reasons For Jesus, Steven Bancarz, Truth. Bookmark the permalink. 2 Responses to Scholars Agree Jesus “Certainly” Existed!By Reasons For Jesus. Do these comments go to Laura or to others who are involved with her ministry? I’m trying to find out how to ask questions and get support. I’m a brand new ex-New ager.